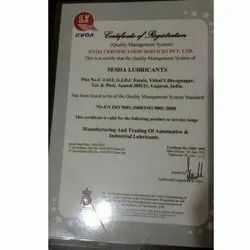 Established in the year 2009, at Anand (Gujarat, India), as a Sole Proprietorship Company, we “Sesha Lubricants”, are devoted towards Manufacturing and Supplying a genuine quality range of Engine Oils, Pump Set Oils, Gear Oils, Automotive Oils, Hydraulic Oils, Brake Oils, etc. 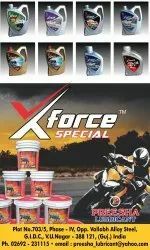 We provide a wide range of automobile and machine oils under the brand name Auto Run. Moreover, because of our honest business deals, easy payment options and quality-centric nature, we have become the endorsed choice of the clients. Under the leadership of our Mentor “Mr. Dharmesh Patel”, we have been able to secure a trusted position and gain huge number of clients across the nation. We have a well-built infrastructural base that sprawls over vast area and is outfitted with all the amenities needed to match up with the industry standards. The infrastructural base comprises of various well-functional divisions such as administration, production, quality assurance, research & development, warehousing, packaging and sales & marketing. All these units function under the supervision of expert professionals and work in a sync to meet the urgent and voluminous demands within time. Further, we have installed advanced machines and tools at our base which are upgraded periodically to enhance our quality and productivity. 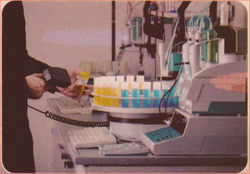 We provide a wide range of oils in diverse specifications to cater the variegated client requirements. Our offered range is thoroughly quality checked before dispatch to achieve maximum satisfaction of the clients.